Solution Saddles Customer Stories: Solution Saddles Customer Explains Why She Won't Be Riding In Anything Else. 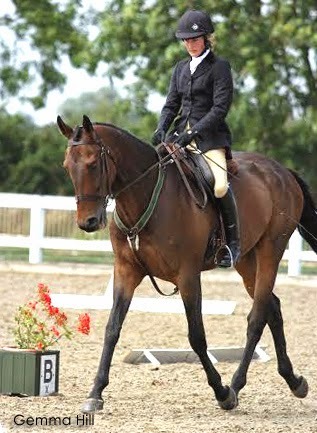 Solution Saddles Customer Explains Why She Won't Be Riding In Anything Else. Like many people I have experienced problems with traditional saddles leading to poor performance and discomfort for my horse and frustration and huge expense for me. About 5 years ago I discovered Solution Saddles, driven mainly by my desire to economise. I had two horses and with the best will in the world I was never going to ride them both at the same time, so the idea of being able to fit one saddle to both really appealed. Recommendations by word of mouth and research on the internet showed that SMART saddles were well designed with a sound scientific basis, and perhaps more importantly were highly regarded by riders. "The fitting and trial period did not disappoint and I have never looked back. My SMART saddle has now been used on three horses and I can safely say that it has improved the way of going of all of them while enabling me to refine my position and develop greater feel." I may have halved my number of horses and doubled my number of Solution saddles, but I definitely won’t be riding in anything else.